Why to settle down with match scores if players and fans deserve more? 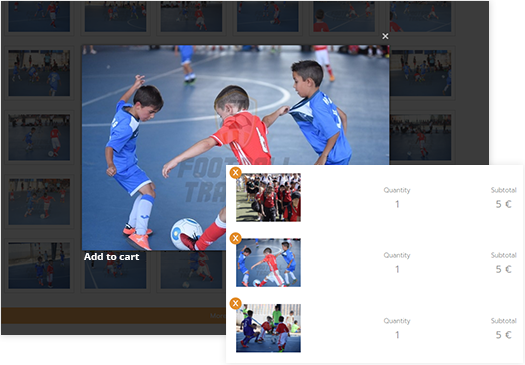 Adding exclusive details and photos to matches has never been easier. Matches are full of action and fans crave for details. Track any extra statistics, from assists to cards, minutes played, best players and much more. And as a cherry on the top, effortlessly share your records on Facebook or Twitter. 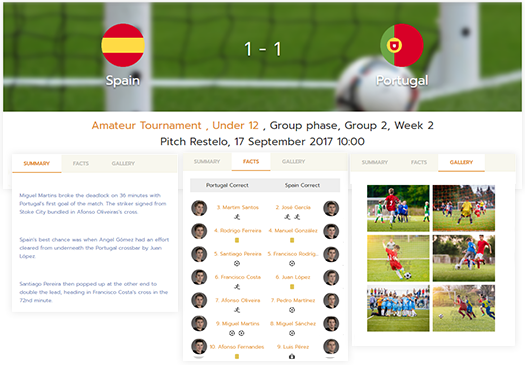 Add photos to your matches to bring alive the highlights. You can even hire a professional photographer and set your photos on sale via our built-in store. Increase the revenues of your events delivering services that mark the difference. 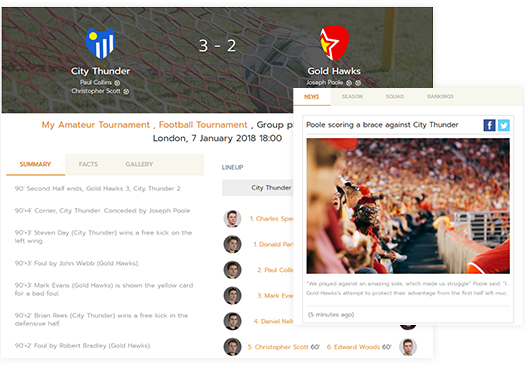 Summarize the best moments of a match in a live-ticker, so that even the ones far from the pitch can experience every minute of it.